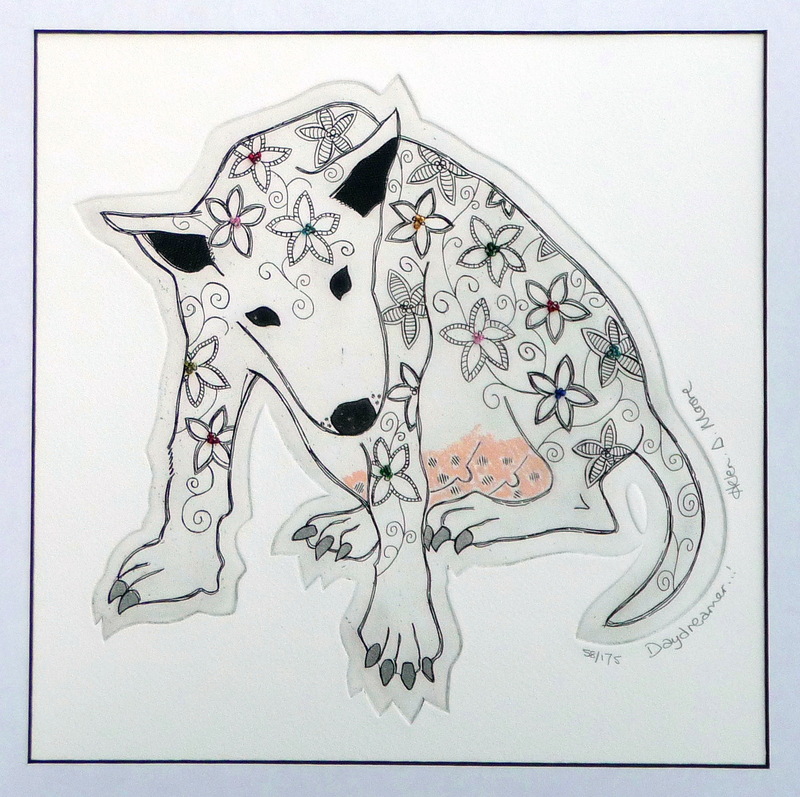 Our new “Woof woof dog earrings” and brooch have now been added to our website and are now stocked in most of the galleries that we exhibit with. 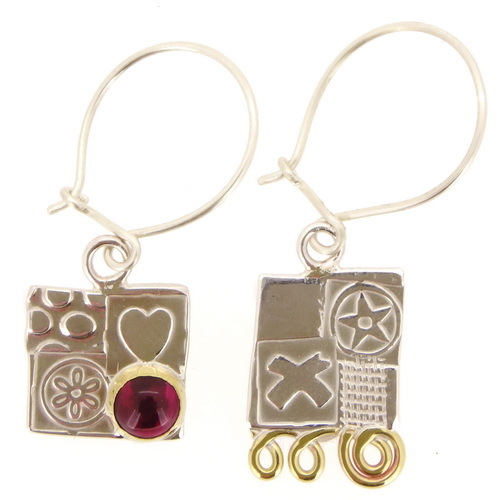 Our new “woof woof dog earrings” Sterling silver and 24ct.gold. 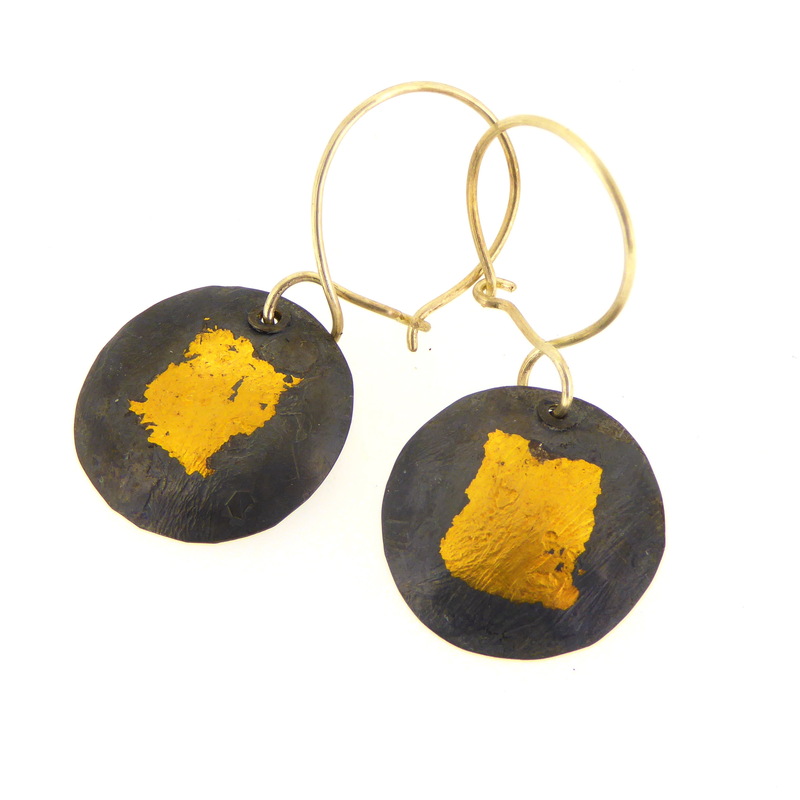 These cheeky little chaps are made using the ancient Korean technique of Keum boo and are made from sterling silver and 24ct.gold. 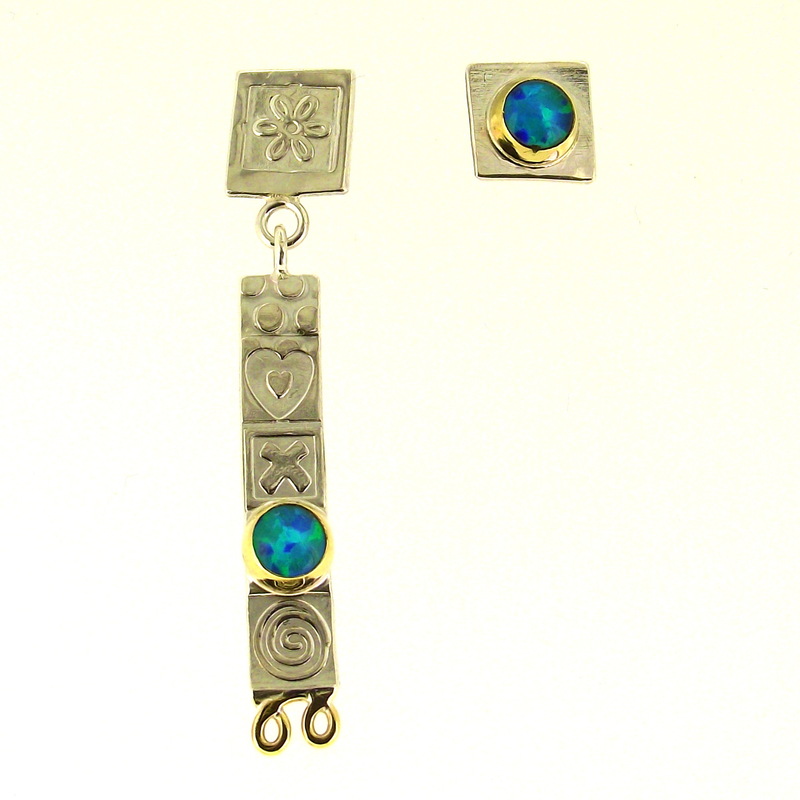 The earrings measure 2cm x 2.5cm without the ear wires and the brooch measures approximately 2.5cm x 3cm. 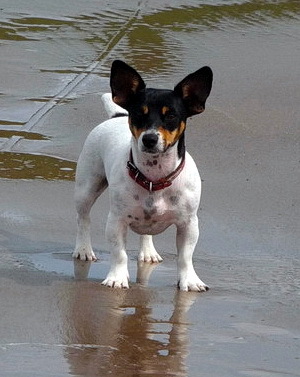 Rosie, our cheeky little jack russell terrier. Sometimes, ideas come and within one or two sketches, the final image is complete. 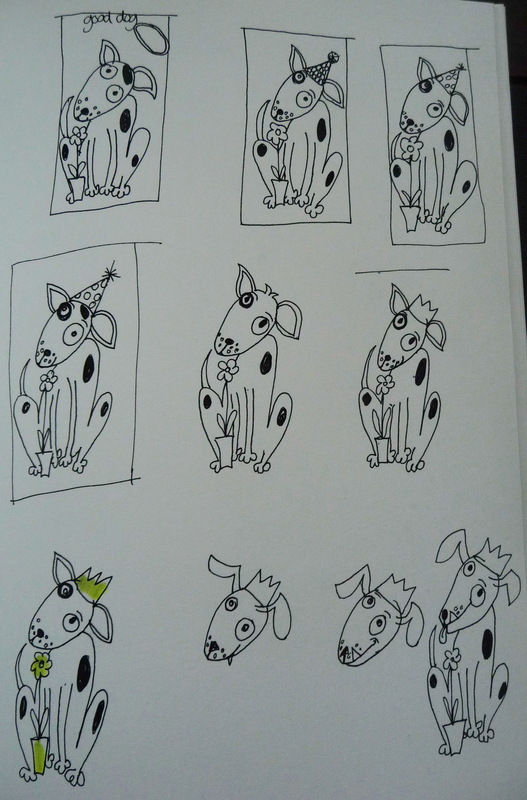 With the dog pieces, I drew over eighty sketches, playing with different ideas and tweaking the sketches little by little, until I was completely happy with the end result. more sketches, each one slightly different. After working through many ideas, I arrived at two designs that I was happy with. 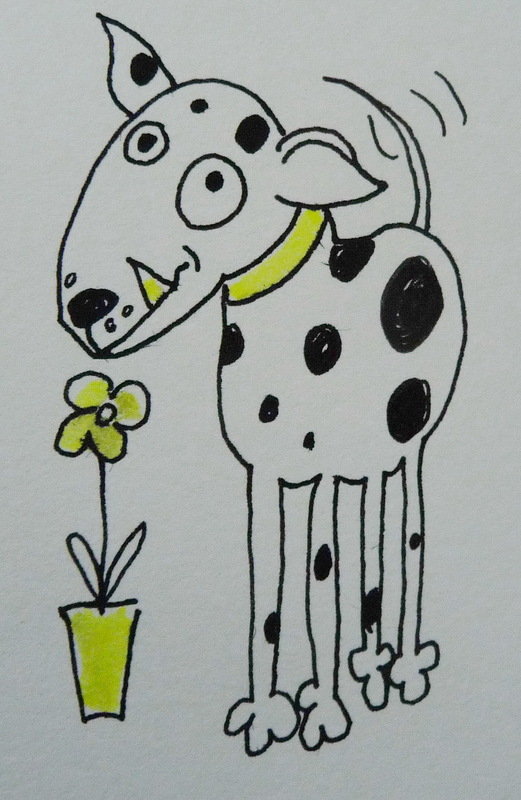 My final dog sketch for the good dog earrings. 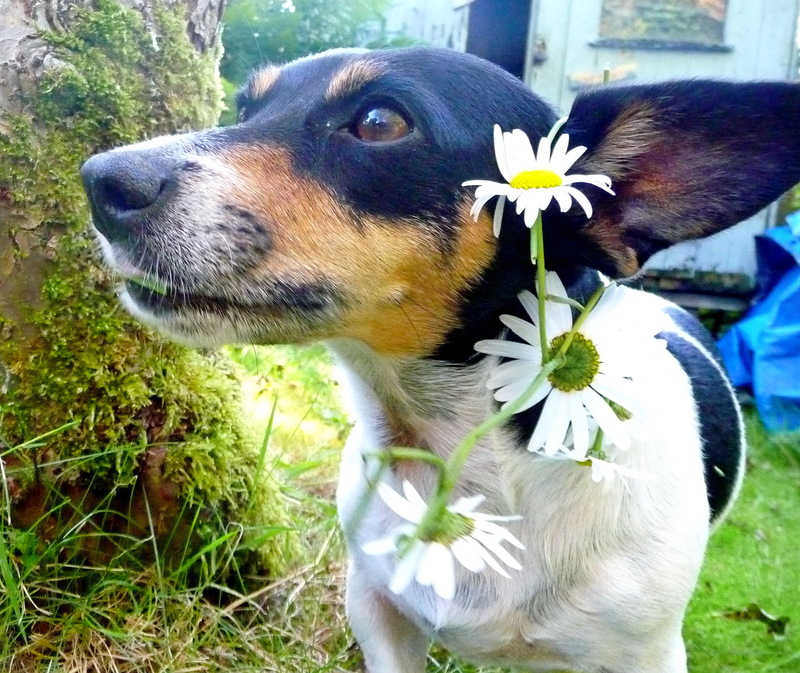 The dog is nicely smelling the flower. 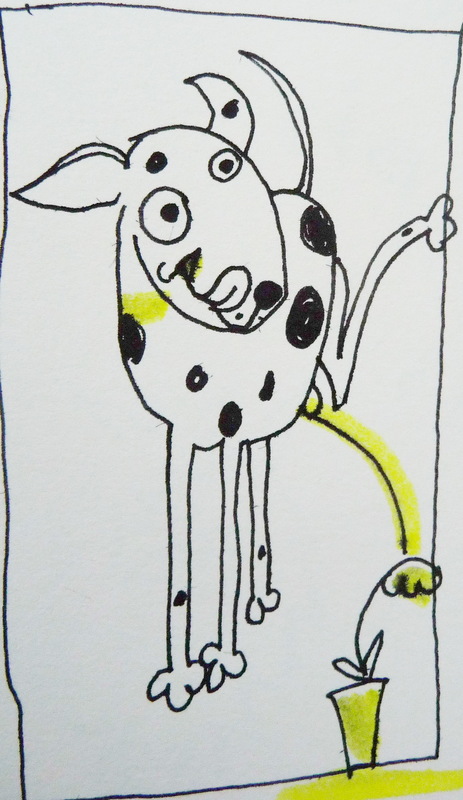 The final sketch for the bad dog earring. 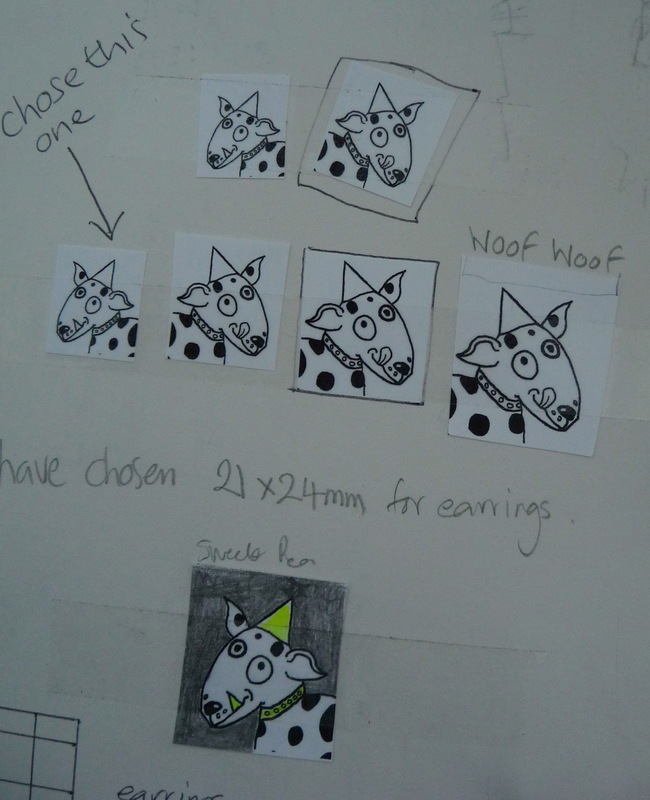 My enthusiasm for the idea of the good and bad dog earrings, blinded me to the fact that I was trying to get a ridiculous amount of detail onto a small pair of earrings. 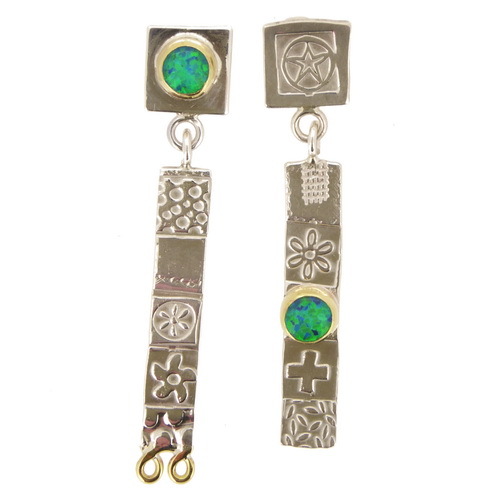 For the images to be seen clearly, the earrings would have to be huge. Back to the drawing board! 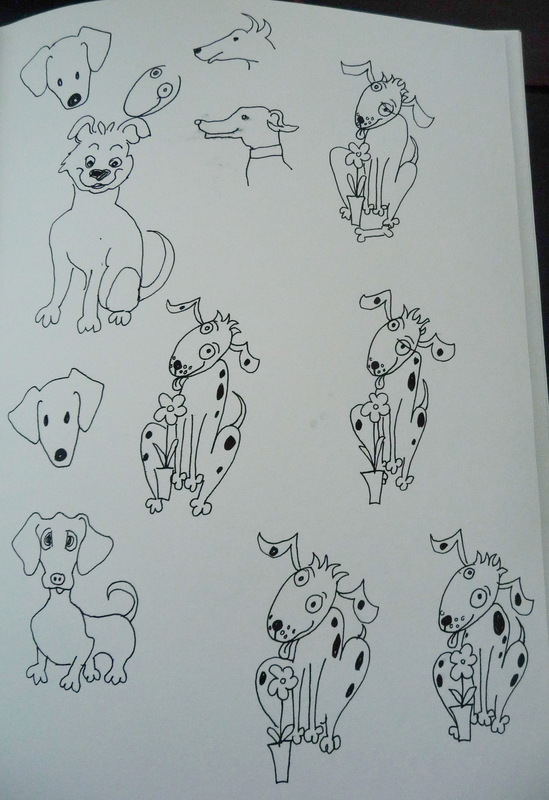 The designs were shelved for a while and when I returned to rework the idea, I realised that the faces of the dogs were the most important feature. 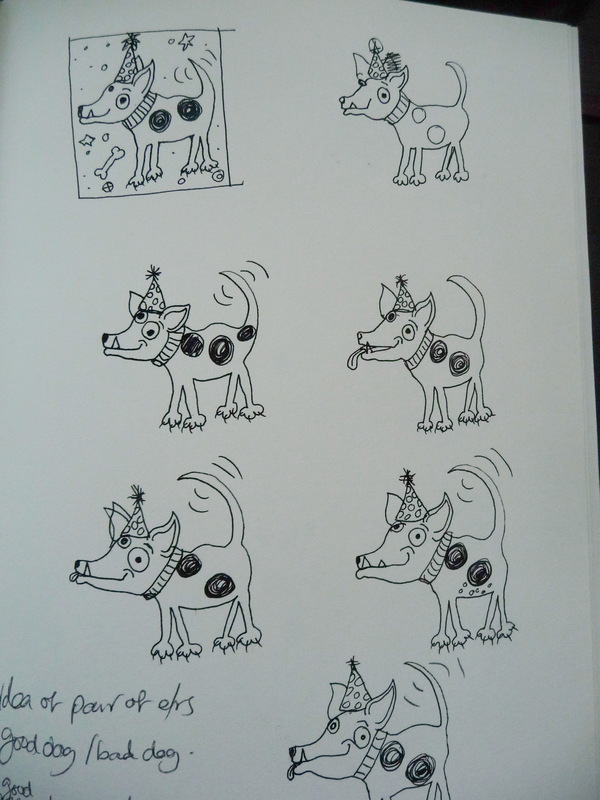 Although it had moved on from the original idea, I worked on the heads of dogs and developed them further and they became finished images in their own right. 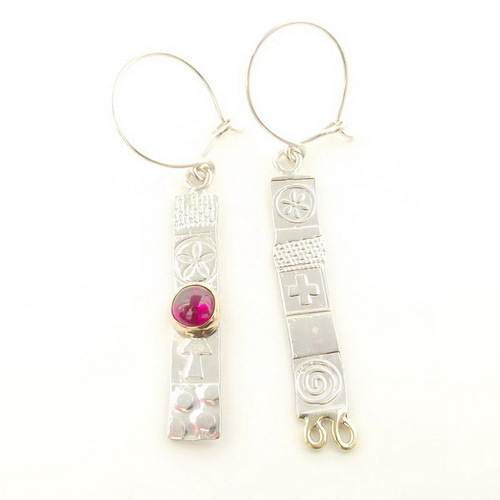 I think that they work really well together and I now love making these earrings and brooches. I have a great affection for them, we have come a long way together! Final head sketches for the earrings and brooch. 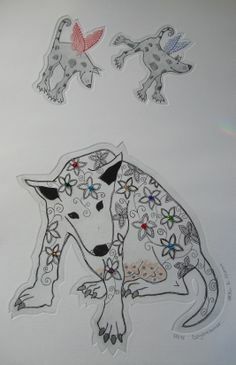 Our new Woof woof dog earrings and brooch can now be found on our website with lots of other creatures in our Menagerie range of jewellery. 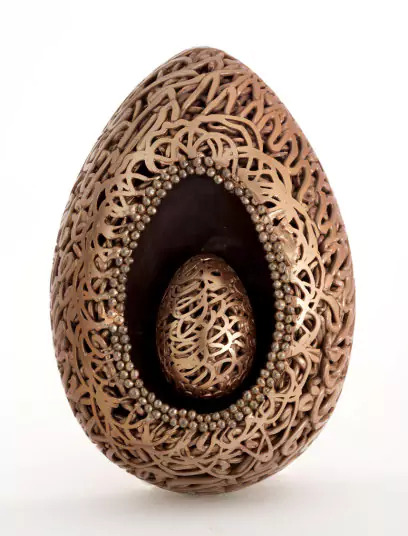 We have found some amazing Easter eggs this year. We couldn’t resist eating some already! 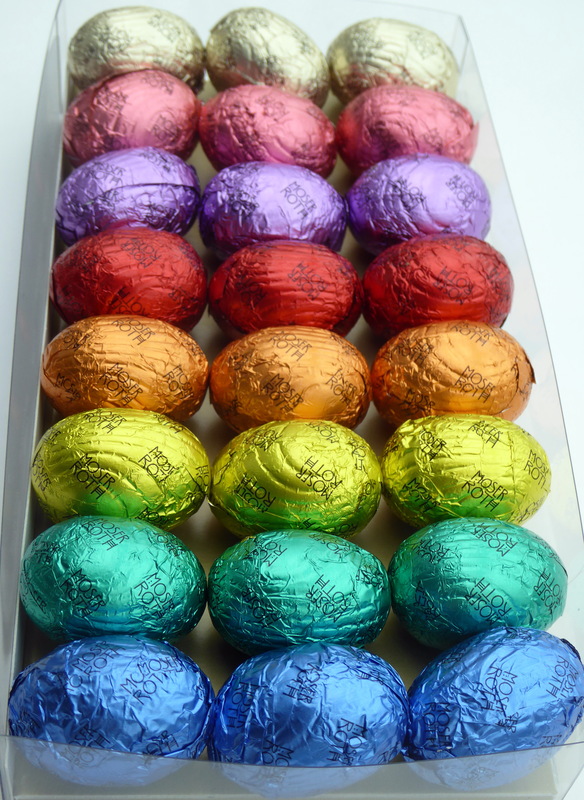 A beautiful display of mini eggs from Aldi, each colour is different kind of chocolate. Very yummy and half finished already. Aldi mini Easter egg selection. 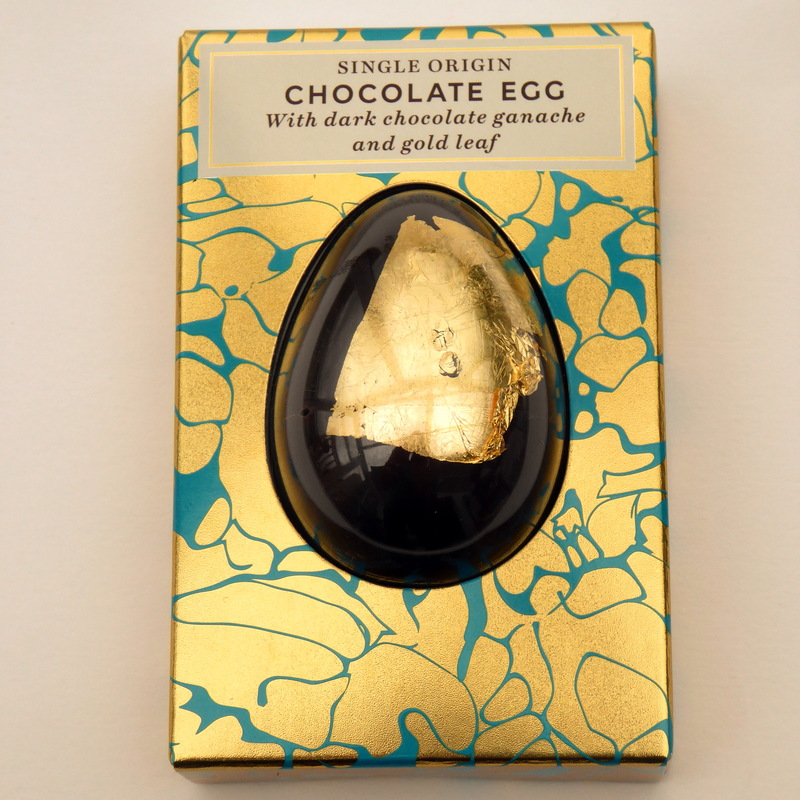 A lovely little Easter egg with gold embellishment from Marks and Spencer. Perhaps they were inspired by us? 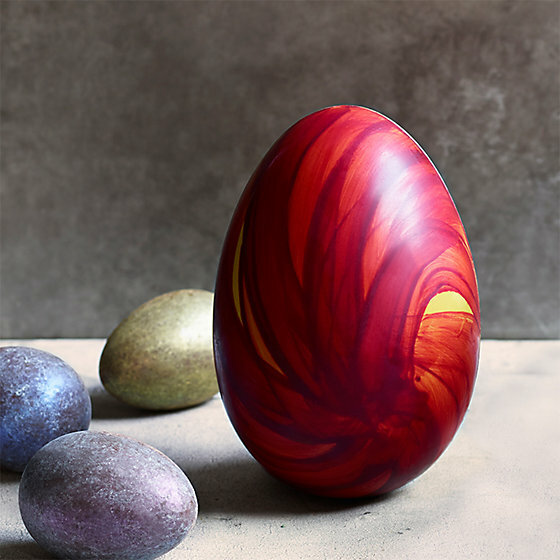 This amazing Easter egg is a beautifully crafted work of art from Marks and Spencer. Who could bear to eat it? One of our favourites, another astonishing work of art. A Marks and Spencer Easter egg. 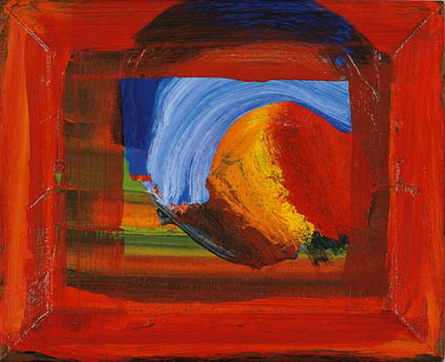 Could they have been inspired by the wonderful, late, Howard Hodgkin? One of Dawn’s favourite painters. 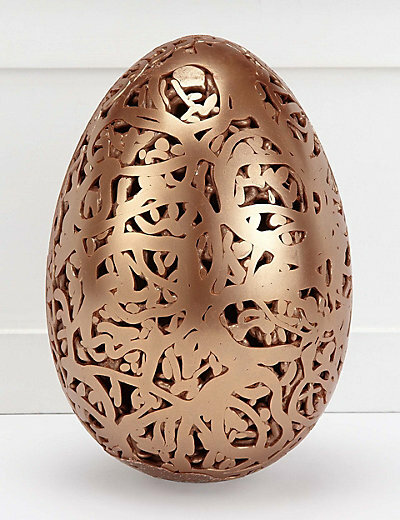 A wonderful, golden lattice Easter egg by Marks and Spencer. 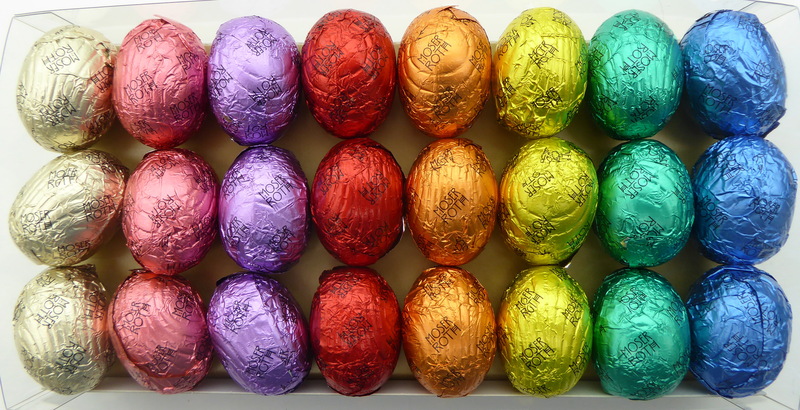 We hope that you have a choctastic Easter. 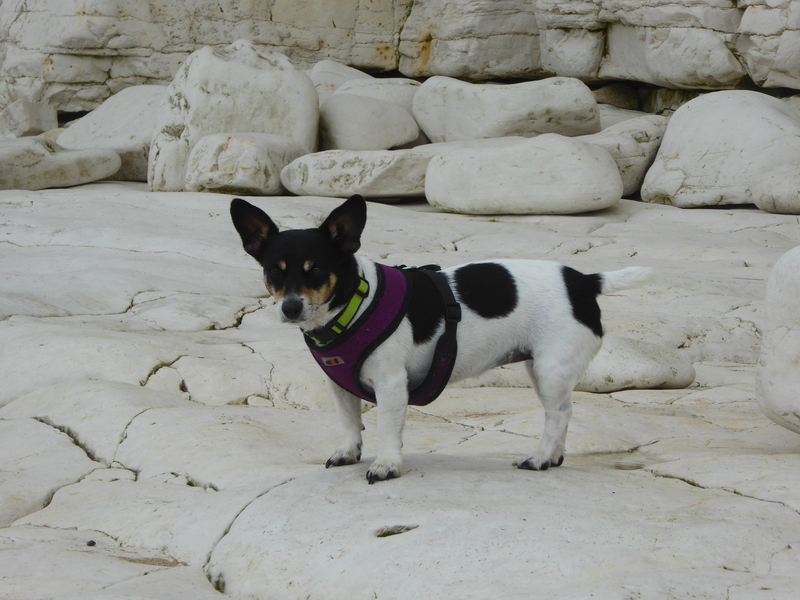 We love this print as it looks so much like Rosie,our Jack Russell Terrier, she even has the same pink belly. 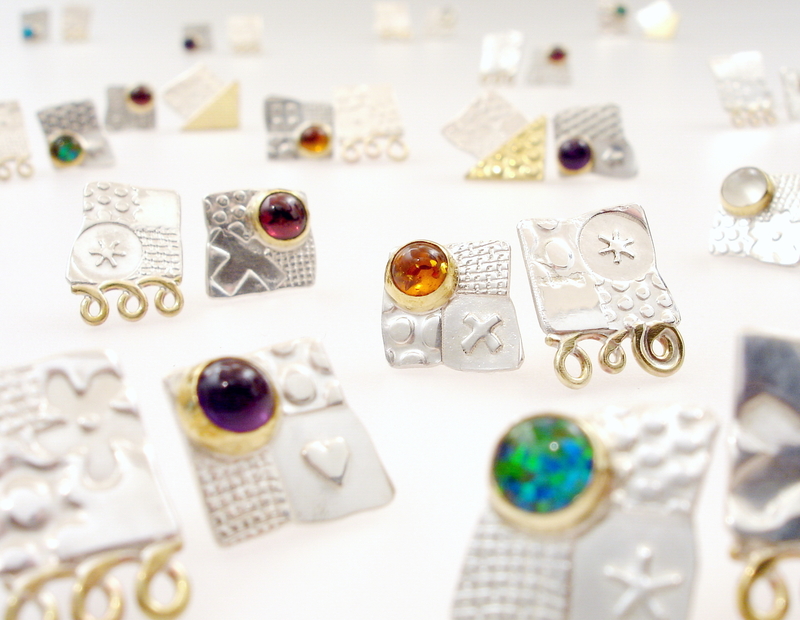 When we met Helen at a craft fair that we were both exhibiting at, we were very pleased to find that she was a fan of our work and that she already owned some of our jewellery. 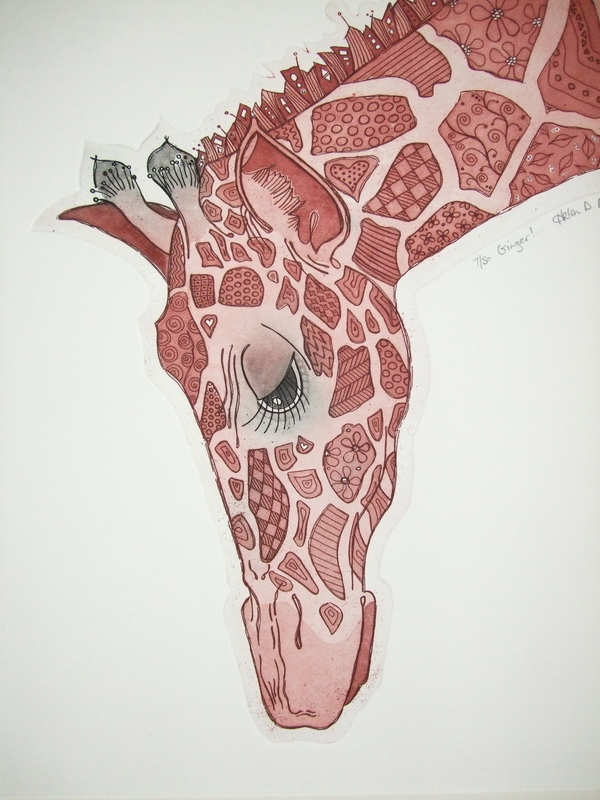 We fell in love with the “Daydreamer” print, along with a number of others that Helen was exhibiting. At the end of the show we were all very happy to exchange some work. 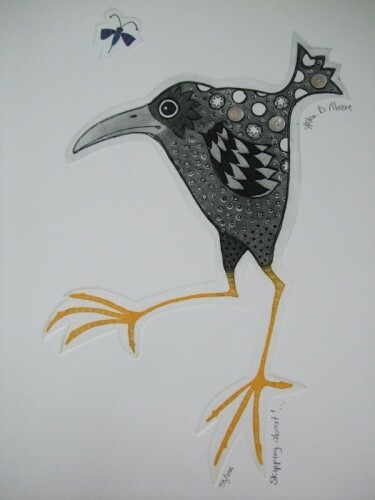 John and I gained a couple of lovely prints and Helen took home some new earrings, a win, win situation. 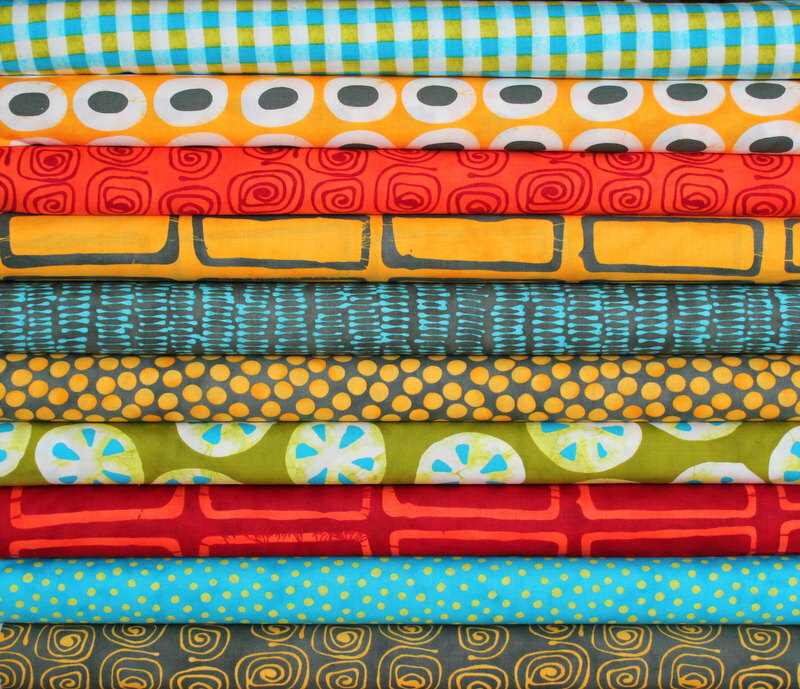 A few more of Helen’s prints. 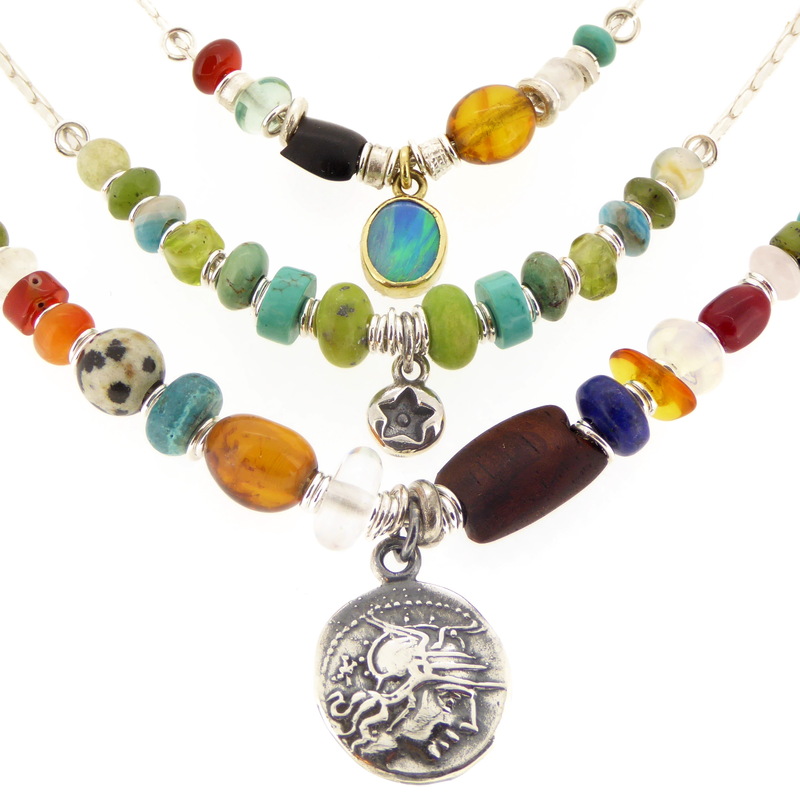 A new button pendant is being added to our button jewellery range. Thank you Mr.X. A customer of ours commissioned a button pendant/necklace to match the cufflinks that his partner bought for him, from our website, as a birthday present. It hadn’t occurred to us to make a matching pendant to our button cufflinks and button ear studs and thought that it was a good idea. Our sterling silver button cufflinks. 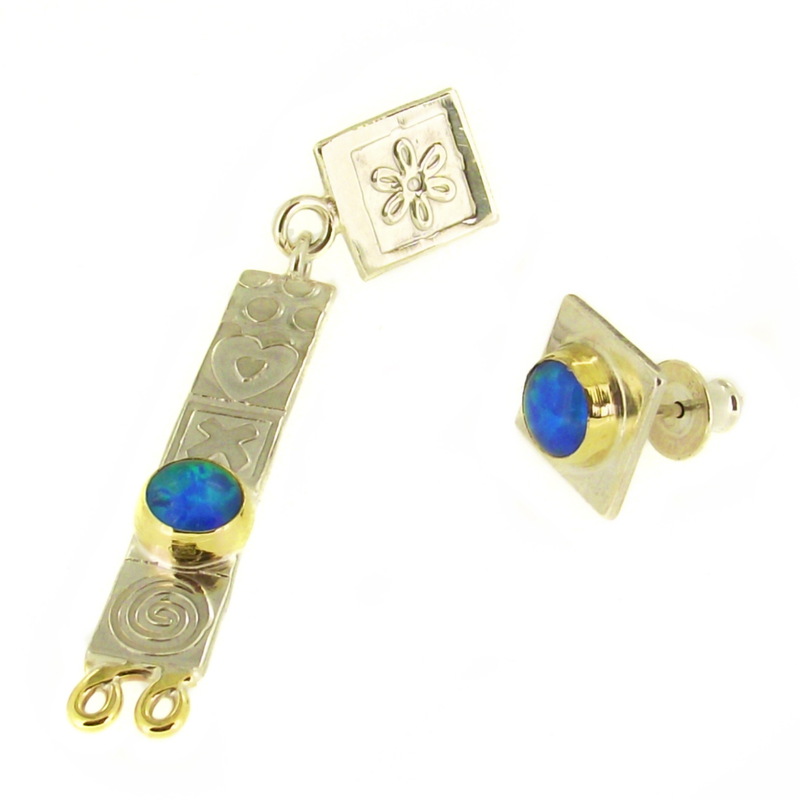 Our sterling silver button ear studs. 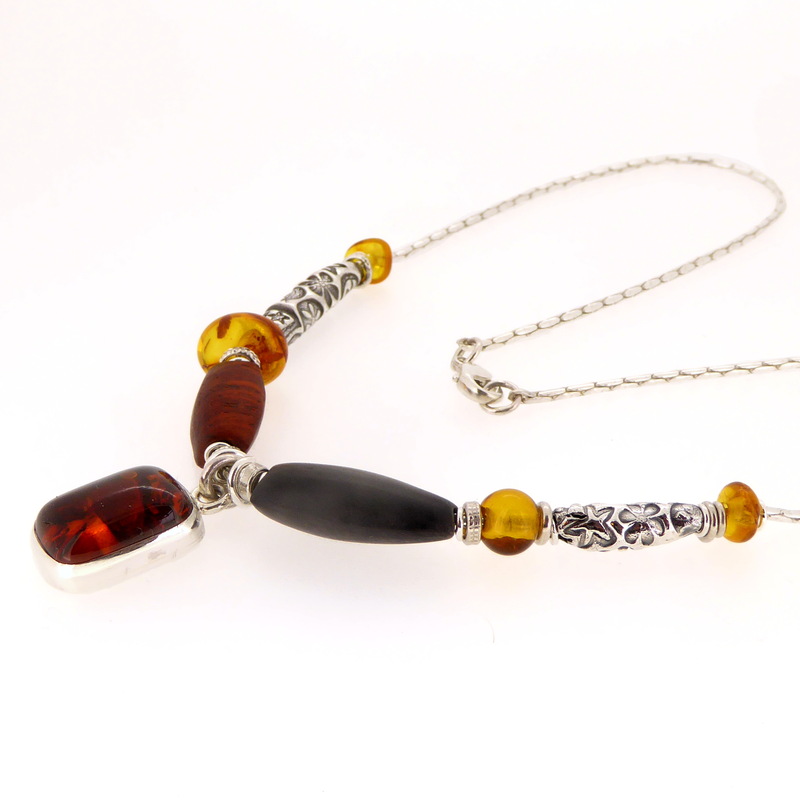 We initially thought that a single button on a chain may be too simple and offered Mr.X a number of alternative ideas, including a necklace with the sterling silver button hung on a chain with various gemstones, similar to our star necklaces. 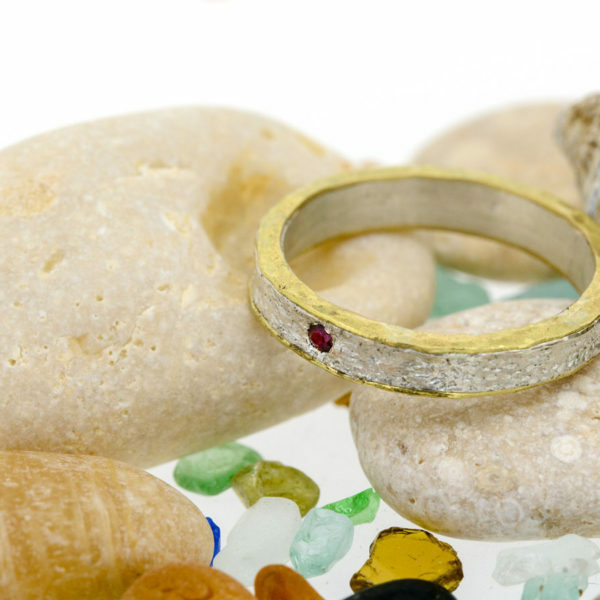 We thought that the button would have looked great with gemstones. 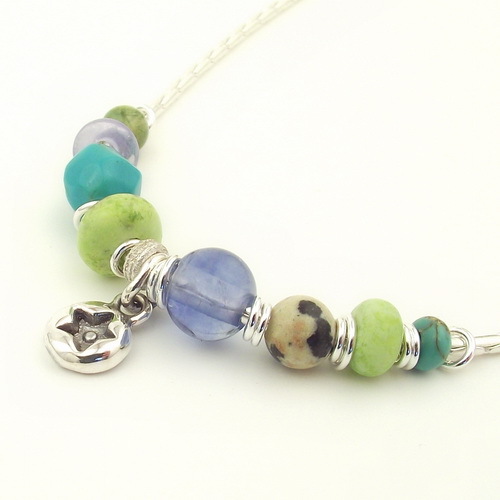 This necklace shows the hand carved wooden beads that we suggested would work well with the sterling silver button. but Mr. X decided on the simple button on a chain. We think that it works well. Thank you Mr. X for reminding us that sometimes less is more! 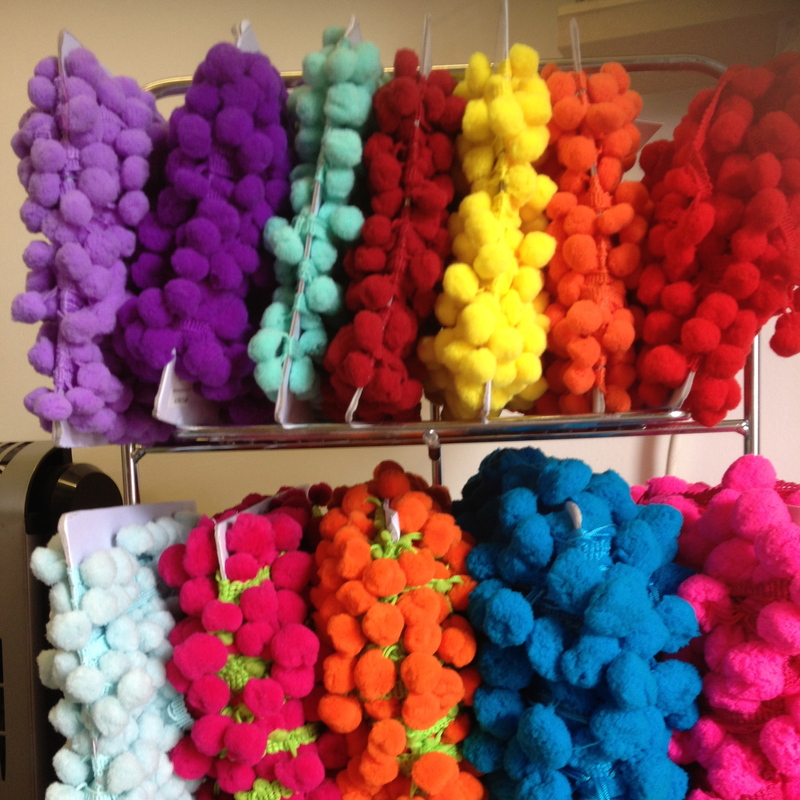 Haberdashery = Colour inspiration, a real treat for the eyes! 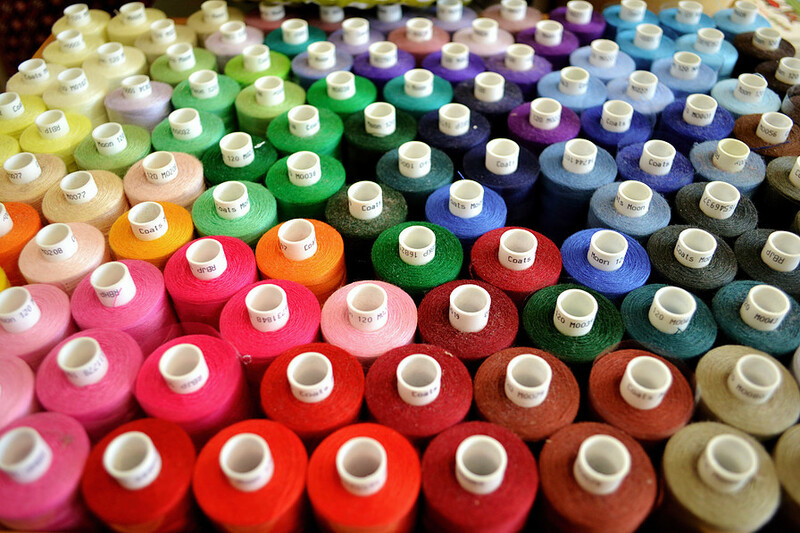 Yorkshire and Lancashire have a rich history in producing fabrics and although many of the mills have now closed, there are still some producing some of the best fabrics in the world, suit fabrics in particular. If you are interested in the history of the cotton mills then Helmshore Mills Textile Museum in Helmshore, Lancashire and the Bradford Industrial Museum are great places to visit. 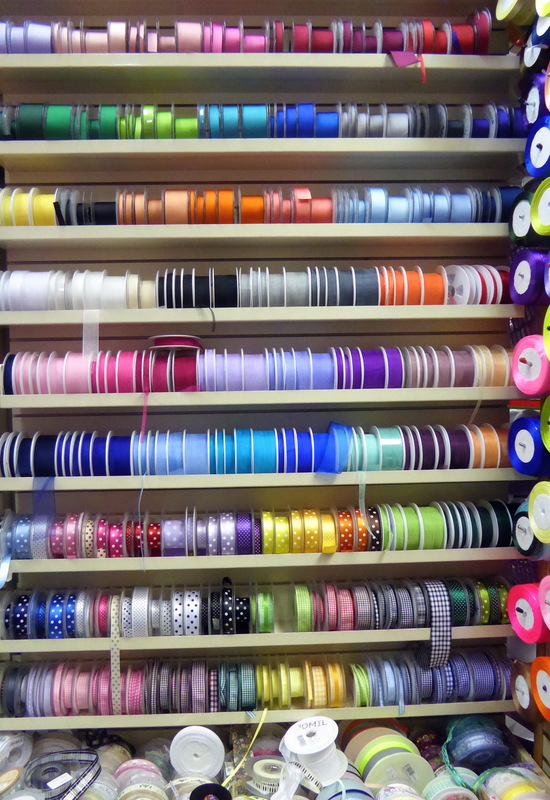 Ribbon at my local Haberdashers. 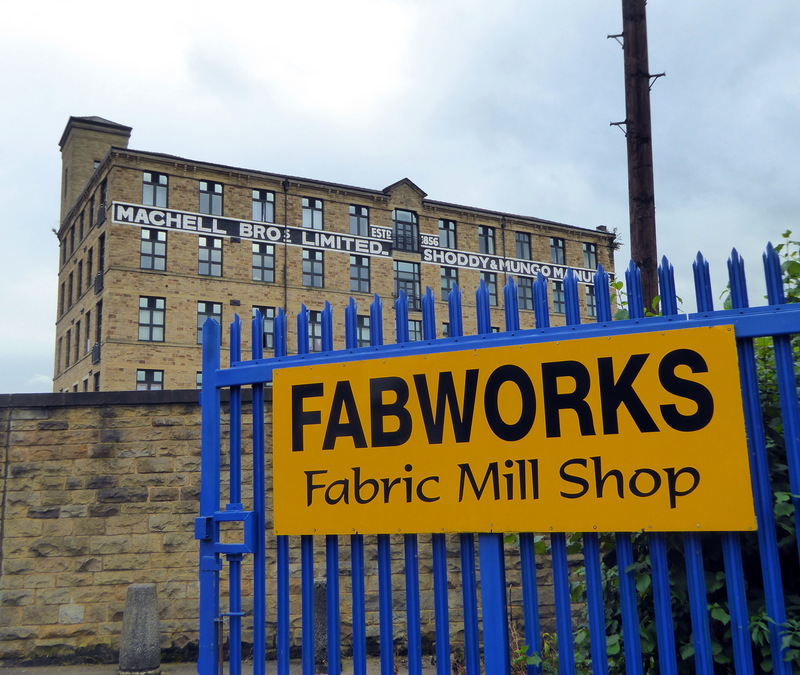 Because of this history, in Yorkshire and Lancashire, we still have some wonderful haberdashers and fabric mill Shops. 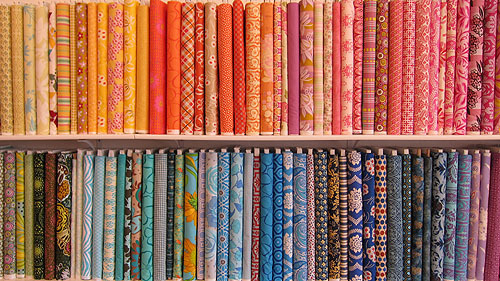 I can quite happily spend many hours in these places, not only contemplating the endless possibilities of what to make from the abundant choice of fabrics but it is also a real treat for the eyes! 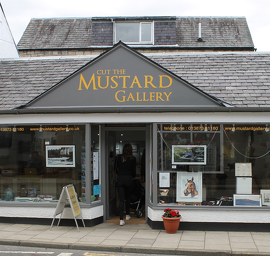 I love this mill shop and can happily get lost in this place for hours. It is like being a child in a sweet shop, I always buy more than I initially came in for. 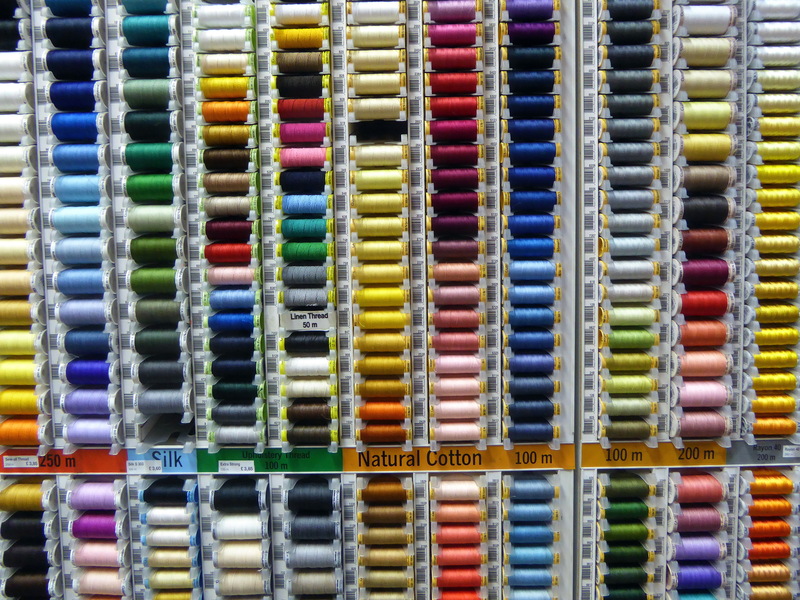 Cotton reels. Photo. by Dawn Field. 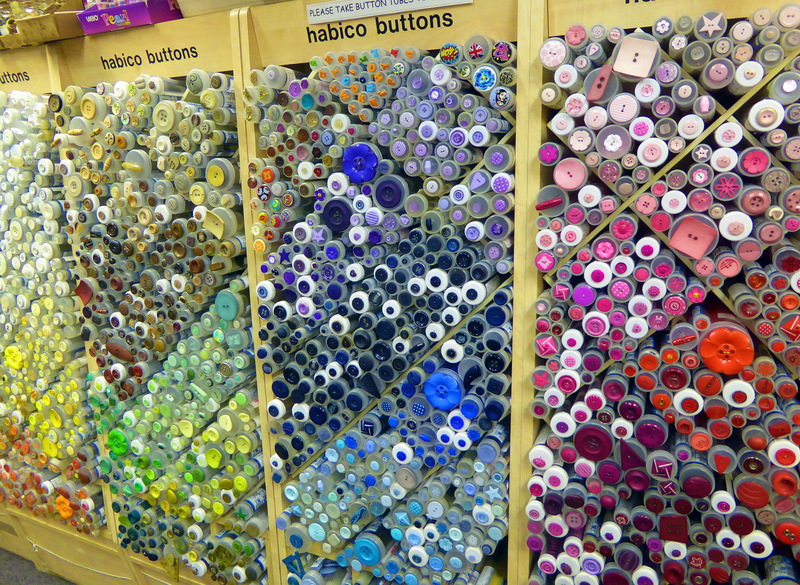 Button display at my local Haberdashers. 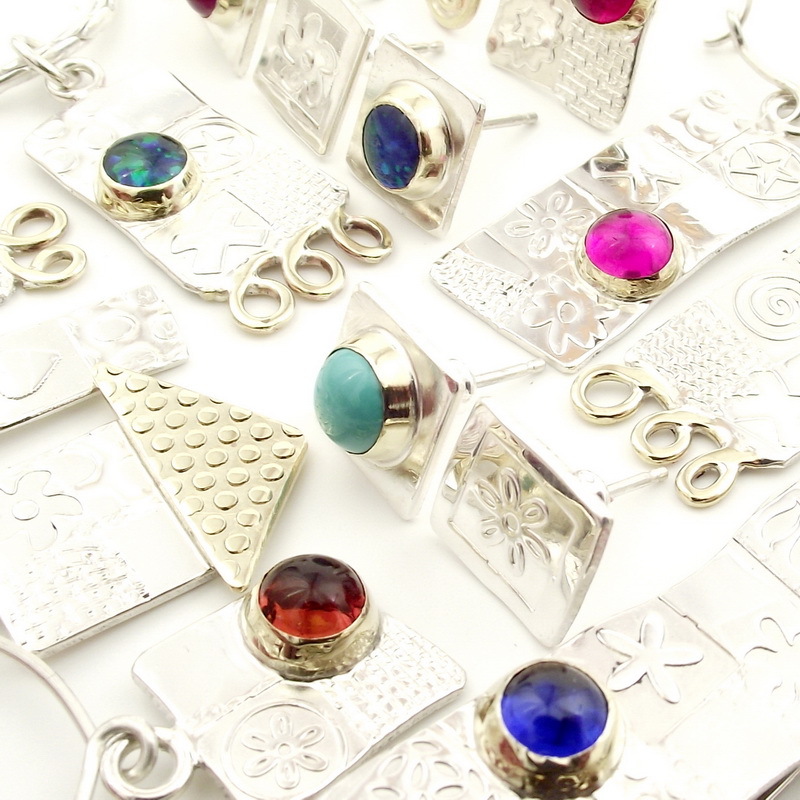 We love to use colour in our jewellery, as you can see below. 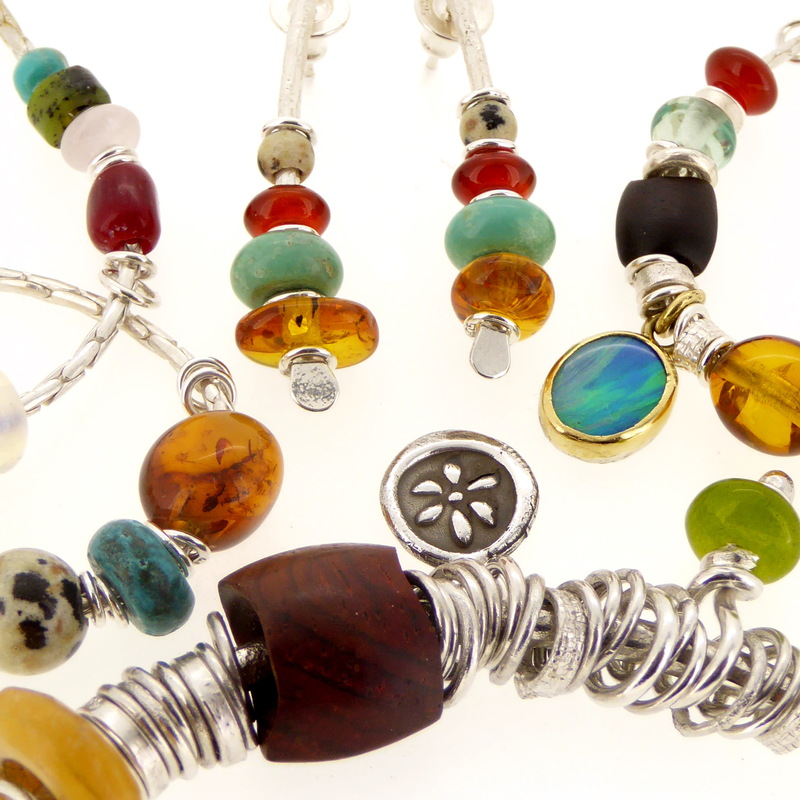 We like to get lots of colour into our bangles, necklaces and earrings. 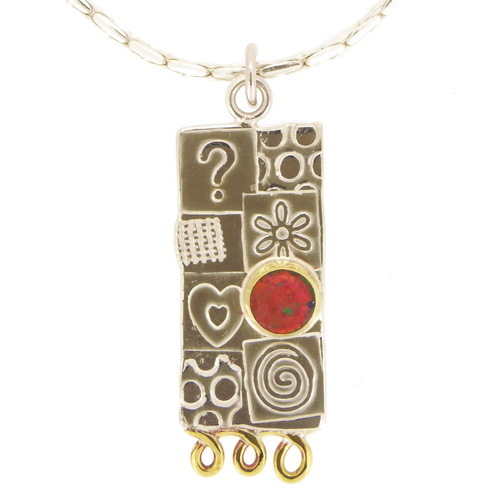 All of the above jewellery can be found on our website.